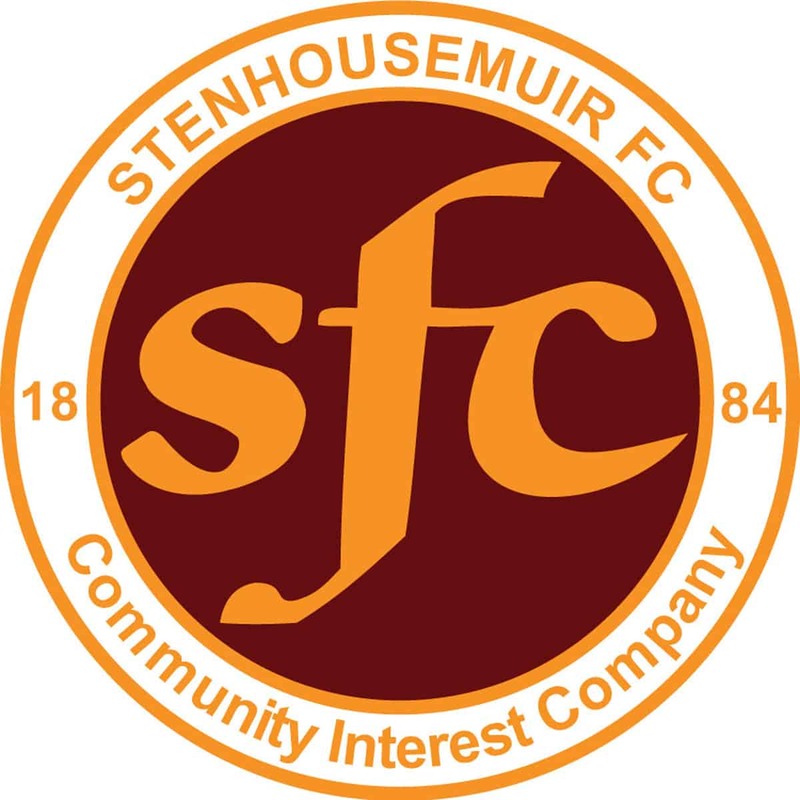 Stenhousemuir –Barclay, Meechan, Henderson, Malcolm, Murray, Robertson, Stirling [McCroary 64], Smith [Eddington 90], McMenamin. McShane [Mazana-Martinez 74] and Cook [b80]. Subs not used – Hamilton, Marenghi and Shaw. Cowdenbeath – Andrews, Brett [b86], Adamson [b27][Yakub 29],J. Armstrong [so 77], El Zubaida. Scullion [Hughes 55], Miller, Kane [b39], Nish [Smith 17], Buchanan and Spence. Subs not used – Donaldson, Sneddon, L.Armstrong and Orritt. Referee – Mike Roncone Assistants – John McCrossan and Craig Walker. Prior to the game there was a minutes silence for Bob Hill supporters and board member who had passed away the previous day. The Warriors started the game full of promise and Jon Robertson playing against his old team saw a shot beaten out by Michael Andrews after 4 minutes. Greg Spence then called Jamie Barclay into action with a strike a minute later. The home side though were looking the better side and they took the lead in the 9th minute. Not for the first time this season Allan Smith was rewarded for perseverance as he dispossessed Kenny Adamson and picked out Colin McMenamin who fired home from close range. Two minutes later Andrews had to scramble back to tip an Alan Cook 40 yarder round the post. In the 14th minute though Stenhousemuir extended their lead when a perfectly timed run by Liam Henderson ended with the defender slotting the ball into the net. Cowdenbeath were all at sea and they could have conceded another goal when a Cook corner wasn’t cleared properly and fell back to Cook again but his weighted pass into the middle was scrambled clear. Shortly after this Cowdenbeath made their first substitution when player-manager Colin Nish was replaced by Gordon Smith who had signed on the Thursday after turning doiwn terms from Stirling Albion during the close season. Adamson saw a freekick land on the roof of the net in the 22nd minute but after a booking in the 27th minute he was subbed almost immediately afterwards. The chances continued at the other end and a Jon McShane glancing header went wide and in the 45th minute McMenamin blasted a volley over from 8 yards. Stenhousemuir had dominated the half with the midfield stamping their authority on the game. The home side extended their lead in the 47th minute when a cross from Cook was headed home by Smith at the back post. Cook himself just missed the target a minute later. In the 54th minute though Cowden pulled a goal back when a Dean Brett corner picked out a totally unmarked Ali El Zubaida at the back post and he had the simple task to head home. This could have lifted the visitors spirits but they soon found themselves three goals in arrears again when Andrews made a hash of a Cook strike that squirmed under his body and into the net. That goal was vital as Cowdenbeath were gifted another goal two minutes later. Liam Henderson slipped going for the ball and in his attempt to recover was short with a pass back that allowed Spence to nip in and score. That goal gave the visitors a lifeline but it was squandered when they had captain John Armstrong sent off in the 77th minute when he was shown a red card for a tackle from behind on Colin McMenamin after he had lost possession and tried to regain it. Nevertheless this was a well deserved win for Stenhousemuir but once again they showed fragility at the back that could have been punished on another day.